Understated yet not underestimated in our book is the common store situated in Helsinki who offer lots of wonderful design led products, many of which have been crafted by Japan’s finest. Stumbling upon their page a little while back we couldn’t help but get in contact and organise a short interview, as stores that are this considered can be few and far between. Hopefully this interview will give them a little more coverage because I’m sure there are many European creatives that would crave a lot of their inventory. Particularly the Japanese ceramics that they have on offer which seems to be the top of many peoples wishlist, given the countless emails we’ve received on this recently. Back on the topic of the interview itself, Kohsuke the co-founder was on hand to discuss the story of the shop so far, the ties between Scandinavia and Japan and his admiration for designer Naoto Fukasawa amongst other things. If you enjoy what we have to offer on our site I think the common store will be of great interest to you also. 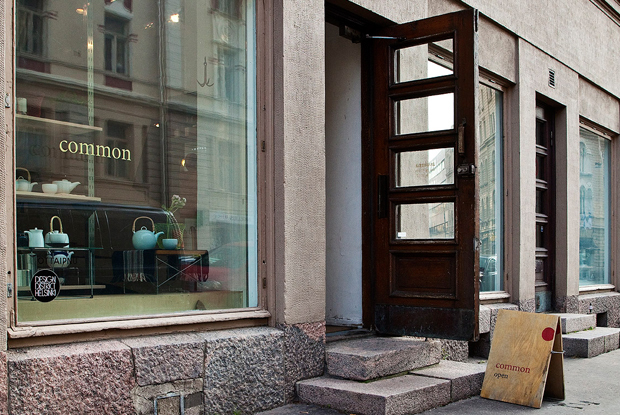 Read the interview with Kohsuke Nakamura, co-founder of common in Helsinki here.